Does the cabinet of ministers discuss the people’s issues? The Cabinet of Ministers convened this morning under the auspices of President Maithripala Sirisena. At the conclusion of the meeting, journalists questioned Cabinet Ministers if the issues currently faced by the people in the country were discussed. Minister Mahinda Amaraweera was questioned about the rising price of vegetables in the market. Responding to this he stated that prices of certain vegetables like carrots, beans, and capsicum, have increased, but the prices of manioc and pumpkin remain low. He urged the people to consume what is available the most and rather than looking at what is expensive. He urged the public to think about the farmers as well. He added that there is an increase in some of the vegetables that people constantly consume, but overall, vegetable prices have been reduced. Furthermore, he stated that the Rupee having the lowest rate against US Dollar was not discussed at the Cabinet meeting. Minister Sajith Premadasa stated that another 150,000 people have been enrolled as Samurdhi beneficiaries. When he was questioned about the recruitment process he stated that the only eligibility is poverty. He was then questioned on how to measure poverty. Responding he said it is the Samurdi Ministry which is in charge of eradicating poverty. 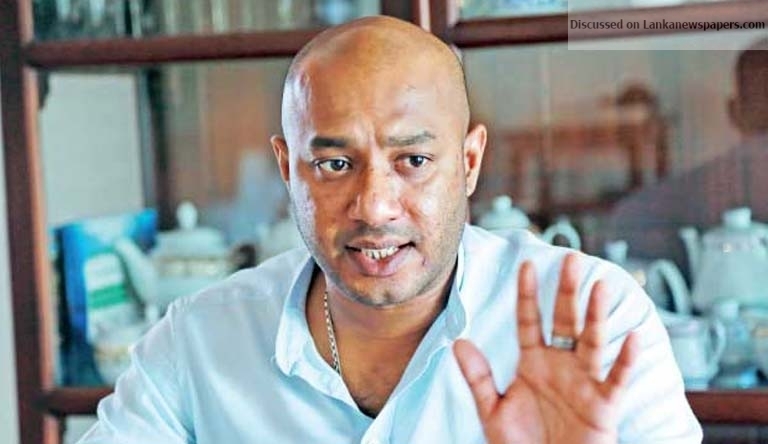 Minister Duminda Dissanayake speaking to the media stated that the cabinet did not discuss the protests that are constantly staged in the City of Colombo. He was then questioned about the rising vegetable prices. The minister responded by accusing the media of only showing the prices of vegetables and not reporting on the procedure followed in growing them or the destruction caused by rains. Minister Duminda Dissanayake, if the common issues faced by the general public of the country are not discussed in the Cabinet of Ministers, where else are they to be discussed? Since you are maintained at the expense of the people, you may not feel that grief. If you visit the remote villages of your district in the luxury vehicle you travel in, you just might be able to see the issues those people have. Even though the people’s issues are not spoken of, the people will certainly not forget the level of urgency you had to rent a building spending billions of rupees. It comes as no surprise to the people, that ministers like you who spend a sum of 1335 million rupees as rent for 5 years, do not understand the plight of the people.